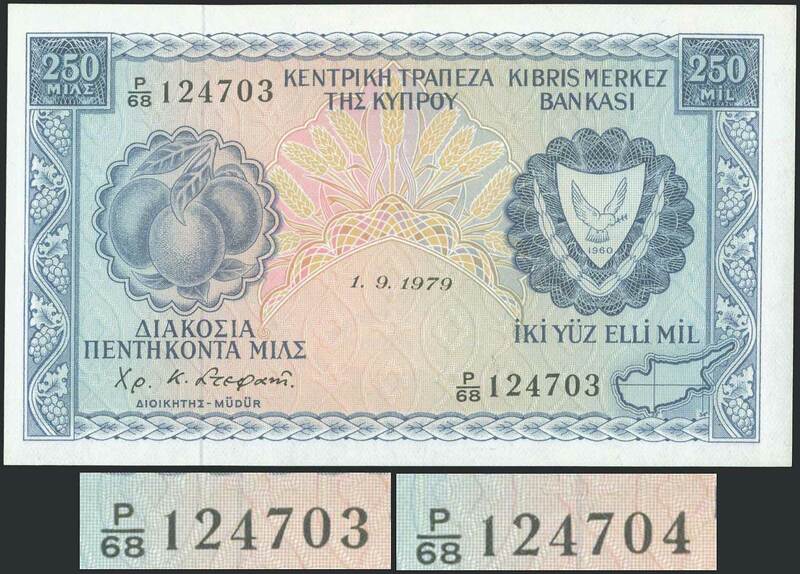 2x250 Mils (1.9.1979) in blue on multicolor unpt with "Fruits" at left and "Arms" at right. Continuous serial nos "P/68 124703 - P/68 124704". WMK: Eagles head. Printed by BWC (without imprint). (Pick 41c). Uncirculated.